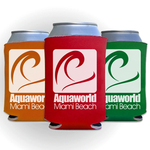 Neoprene Drink Coolies Screen Printed in One Color on a Colored Collapsible Drink Coolie. 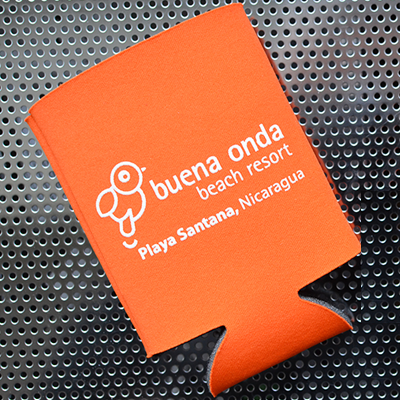 Screen Printed in One Color on a Colored Collapsible Drink Coolie. 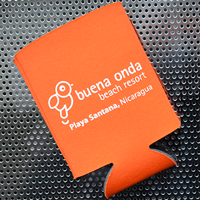 When you want to promote your company or custom message, one of the best times to do so is while your target is enjoying their favorite beverage. That way they’ll associate your product with fun, relaxation and good times. Customized drink coolies from Elite Flyers will allow you to create that ideal association. Many companies offer a wide variety of drink coolie options, but the truth is that most are not of quality. This is precisely why Elite Flyers offers one style which is considered the best all around. 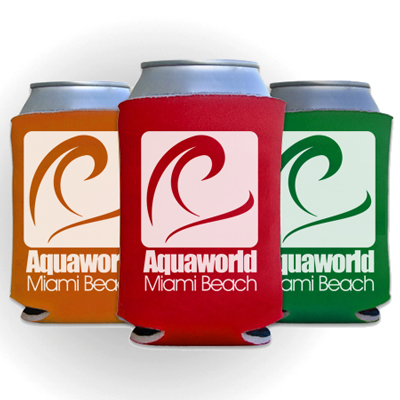 Our drink coolies come in a variety of custom colors and are printed with care to insure a long-lasting message or logo. 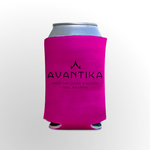 The high quality 100% Neoprene construction will keep beverages cold in the warmest of conditions, and the coolies are even machine washable. 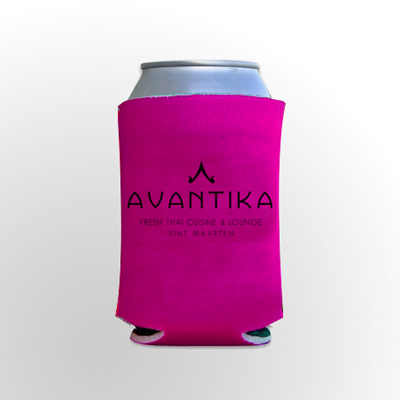 Furthermore, our drink coolies are conveniently collapsible, unlike so many others. Use the Elite Flyers convenient online ordering system to select custom options such as exact coolie color and front-only or front and back printing of your drink coolies. After specifying all options, you may quickly upload your files and check out securely. 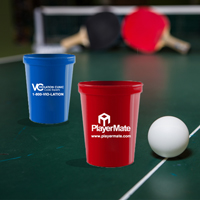 We have built a reputation for ultra-fast turnaround times with all of our custom printing work, and will continue this reputation with the speedy print & shipping of your custom drink coolies. When considering drink coolies as an option, consider some of our previous clients that have taken advantage of this product for reunions, campaigns, birthday parties, pharmaceutical promotions, beverage promotions, weddings, bands and more! If you don't yet have your logo or custom design, please keep the talented Elite Flyers graphic design team in mind. Because of our company's high volume, we are able to easily share the extensive skills of our graphic designers at very affordable rates. The only thing required by our design team is a concept. Leave the rest to us! Click the design tab above and get a quote on your graphic design needs right away. Also, if you require a specific option for your custom drink coolie order that is not currently offered within our website, please contact our readily available customer support team. Unlike so many other businesses that only offer email support, Elite Flyers has our informed customer support team ready to help via the live chat feature above or by phone at any time. We highly encourage our customers to ask as many questions as they like, which guarantees satisfaction with the end result. Asking questions ensures that the product delivered will be just what you had in mind!